Situated in our customer’s lovely garden in Thirsk, North Yorkshire this 1.8 x 1.8m Wiveton Summerhouse has been installed for use as a pretty, sheltered relaxation spot for the customer to read and enjoy their garden from. 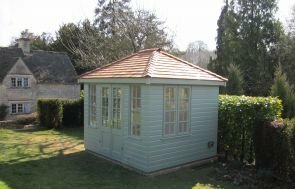 The customer really liked Farrow & Ball’s range of exterior eggshell paint colours, and they chose the colour Card Room Green for the summerhouse to help it blend in nicely with the surrounding garden. As well as the paint, the customer chose to have leaded windows for a traditional touch, and grey slate effect roofing tiles. Internally, the customer wants a comfortable space to retreat to, so they have got full insulation (in the walls, ceiling and floor), painted matchboard lining, and our heavy duty flooring with a natural lacquer on it. 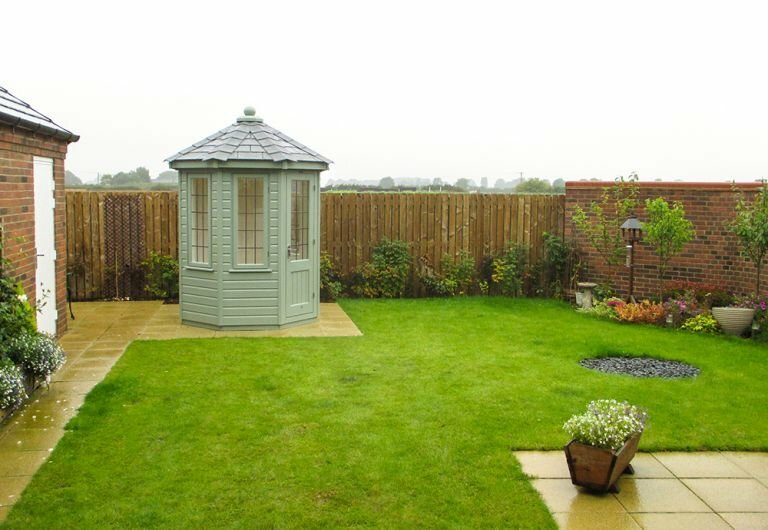 Typically, our summerhouses are built to use in the same way this customer plans to, as a comfortable space to escape to. However, they can be used for anything you wish. 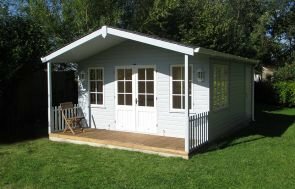 The more generous summerhouse might be perfect for use as an impressive entertainment space for guests or a mini library for personal use, for example. 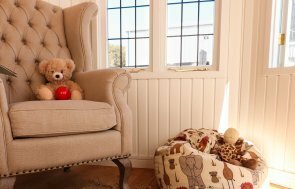 If you would like to know more about our wonderful range of Summerhouses you can either pay us a visit at one of our eight show sites across the UK, or continue browsing online by clicking the link below.